Alameda Hospital and CNA have met for several months to secure a new collective bargaining agreement for the Alameda Hospital RNs. Management has proposed a number of changes. These critical changes focus on: (1) having an easily understandable contract outlining management’s obligations to employees; and (2) safeguarding the Hospital’s ability to manage resources effectively and responsibly. Remain Market Competitive: Remaining market competitive is a critical priority for the Hospital in order to attract and retain skilled and experienced nurses. The average salary of a regular nurse at Alameda Hospital is $71.79. The Hospital seeks to maintain our current competitive market position. Keep Health and Welfare Benefits Affordable and Accessible: As the cost of health care increases, Alameda Hospital must think about asset reallocation in order to keep employee-premiums at an affordable level. 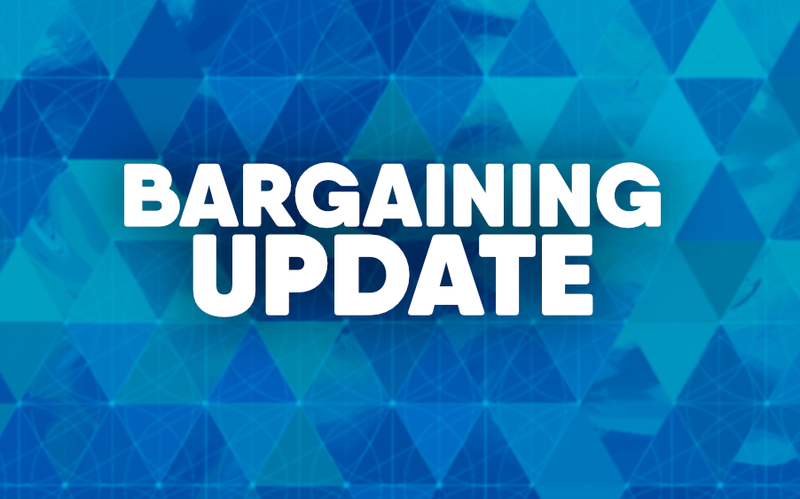 Professional Practice Committee: Using the average rate of pay in the bargaining unit ($71.79), there is opportunity to save on the cost of this benefit. Additionally, the nurses can be from the same unit, which makes finding back-up coverage more challenging. 1 nurse per unit, up to a maximum of four (4) for the entire Hospital to be released up to 3 hours each, per month. This results in an approximate total cost of $861.48. Current State: Up to 6 nurses released for purposes of attending to contract administration and grievances. There is no cap on the amount of paid-release time that these nurses may use. AH Proposal: 3 nurses released for purposes of attending to contract administration and grievances. Each of the three nurses shall have up to 10 hours to use each month. This results in a total cost of approximately: $2,153.70. Clear contract language protects the integrity and administration of the contract while avoiding conflicts and time lost in the dispute resolution process. Both the Employer and the Union mutually benefit from having clear language. Below are examples of where management seeks clear and unambiguous language. Seniority: Management has proposed a much cleaner process for determining seniority that will lead to decreased errors, in particular as it relates to layoffs and selection for vacant positions. New Bargaining Unit Nurses: 1 year seniority for every three years at AHS. Short Hour and Per Diem: 1 year for every 1,000 hours worked as long as 1,000 hours are accrued within 3 years. If this is not met, then no seniority is assigned. Regular Nurses: Length of service with Hospital, adjusted based on status changes. This becomes very challenging when calculating the seniority for someone who, for example, worked as an LVN for 4 years at the hospital, then became a SANs for 5 years with various hours worked in any given year, then a regular full time nurse. Under the Hospital’s proposal, Regular Status nurses are in a category of their own as are SANs nurses. This ensures accuracy when calculating seniority. Reduction of Staff: Management has proposed clear language governing the obligations of management to provide notice to the union based on the type of layoff occurring – Cancellation; Temporary Layoff, and Indefinite Layoff. We believe that through collaboration and reasonable compromise that a settlement can be reached that benefits the nurses, Alameda Hospital, and the community it serves.